Hank Kunneman: "A Call to Prayer and Intercession for the Month of September: Who will Stand on the Lord's Side for Such a Time as This?" "A Call to Prayer and Intercession for the Month of September: Who will Stand on the Lord's Side for Such a Time as This?" Some of the shortest words are also the most powerful...and are spot on for this very moment. There is no other time for all of you mighty intercessors to arise...RIGHT NOW, EVEN THIS WEEK to pray over many things, including the current confirmation hearings for Supreme Court nominee, Judge Brett Kavanaugh. Hank Kunneman is one who I turn to, to find out what God is saying and how we can cooperate with His plans at this very moment. As we have exited the month of August,and have entered the month of September, I am calling for the people of God to enter into a time of PRAYER and INTERCESSION. God is looking for a people who will STAND on the Lord's side for such a time as this! I pray you carefully read this prophetic word below declared by the Spirit of God a few weeks ago. "But who shall stand," says the Lord, "and speak upon this land, 'Peace be still?' For I have given you authority and I have given you power, but it shall not come if you point your finger; for I cannot and will not move through those who lift a finger of accusation, of hatred, racism, judgment or prejudice. "I will not use those who sow discord! But I look to those in this land that I may mark upon their forehead as I did in My Word when I marked those who cried out, because of the abominations and the things that were done in the land. Hank Kunneman is the senior pastor of Lord of Hosts Church, a thriving church in Omaha, Nebraska, and founder of One Voice Ministries. As an uncompromising voice that God is using to stir up the Body of Christ, he is known for a strong prophetic anointing as he preaches. He travels and ministers extensively as he and his wife, Brenda, preach together at conferences, churches, and national television programs throughout the United States and overseas. 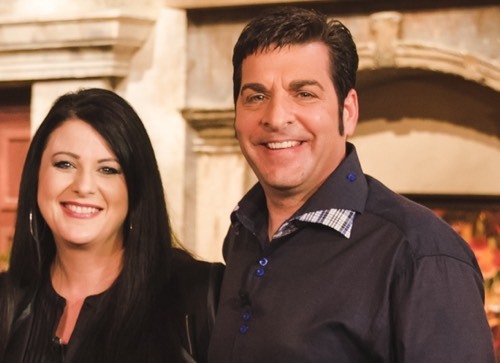 Together, the Kunneman's also host their own nationally and internationally televised weekly program, New Level with Hank and Brenda, airing on Daystar Television Network, Victory Television Network, and Faith Broadcasting Network. Pastor Hank has also authored several books including Prophesy with the Wind of God in Your Mouth, My Heart Cries Abba Father, The Revealer of Secrets, Don't Leave God Alone, and Barrier Breakers.